The original filter in the DSLR camera is not entirely transparent, especially to red part of the spectrum and then to the more important emission line, the H- alpha (emitted by many nebula for example). 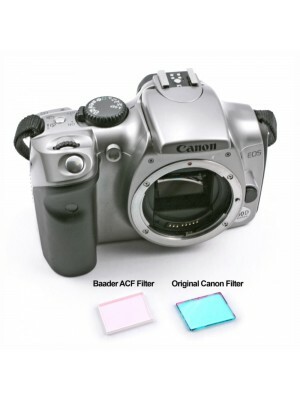 Replacing the original filter with a model designed specifically for astrophotography, we increase the sensitivity of the Canon EOS camera allowing you to record brighter pictures. 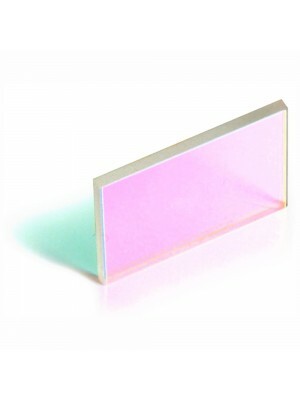 To maintain a correct color balance during daylight pictures, DSLR camera use a filter placed in front of the sensor that not completely transparent especially at higher wavelengths corresponding to the red. In the astronomical application this is a problem since the most important emission line, the H- alpha (emitted by many nebula for example) is right in the red. That's why we replace the original filter with a model designed specifically for astrophotography thus increasing the camera sensitivity and allowing you to record brighter pictures. The chart on the right compares the transmittance of the modified filter (red curve) with the original one (blue curve). 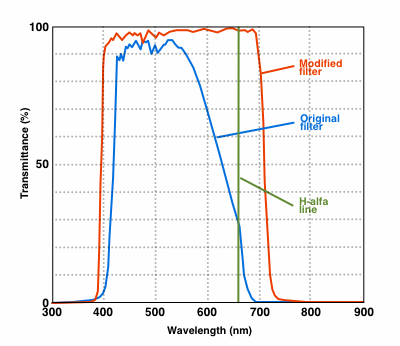 For reference we reported in green also the position of the H-alpha line.You can see how from about 550nm original filter decreases transmissivity while our modified filter lets all the light pass up to 700nm, so you can record more easily all the red weak details. The difference is huge considering the H-alpha line where the original filter has a transmissivity of about 30% while the modified one has a transmissivity of about 98%. Note on daylight use of the camera: by changing the filter, daytime pictures will have a redder hue in respect of those captured with unmodified camera. You can always make a manual white balance for more neutral colors but please considered that, for this application, the pictures will never be perfectly equal to those recorded with an unmodified camera. 2) Download, print and compile this PDF module. 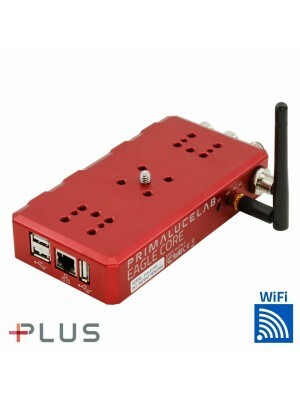 3) You will be contacted by our technical experts that will tell you when to send your camera. Please include in the package the PDF compiled and signed. 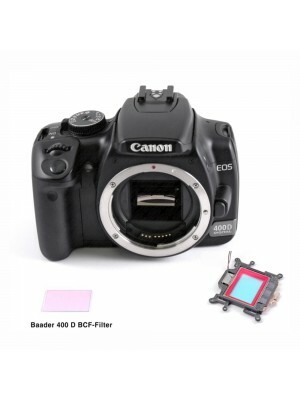 1) the price includes the modified filter and replacement work, it does not include other elements. 2) we reserve the right to refuse an modification work if, when we receive the camera, we verify that it has any kind of problem (both hardware and software). 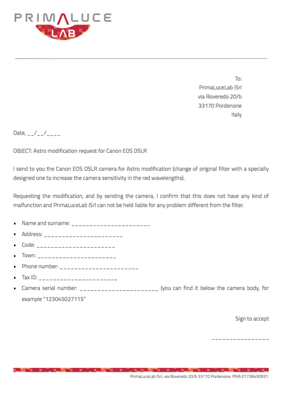 If the camera has already been modified by other services, you must let us know before you send us the camera since there may be additional work to do (and therefore additional costs to add). 3) PrimaLuceLab does not repair Canon EOS cameras. In our laboratory we perform the Canon EOS camera modification and we install the astronomical filter (which replaces the standard one) . 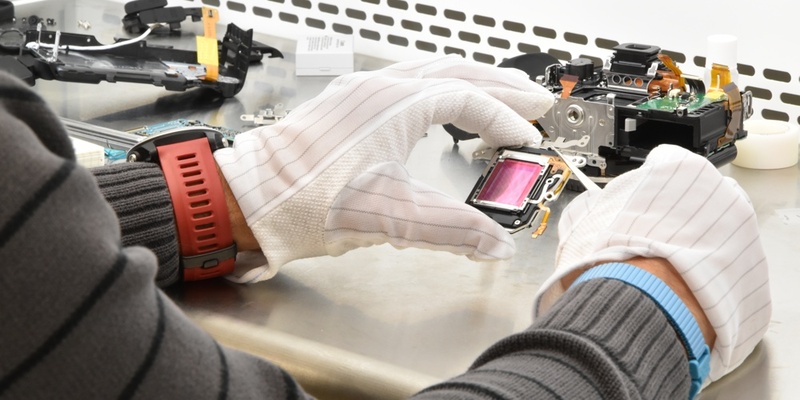 We use special instruments and a clean room to prevent static electricity from damaging the internal components and the dust from depositing on the sensor during modification process.